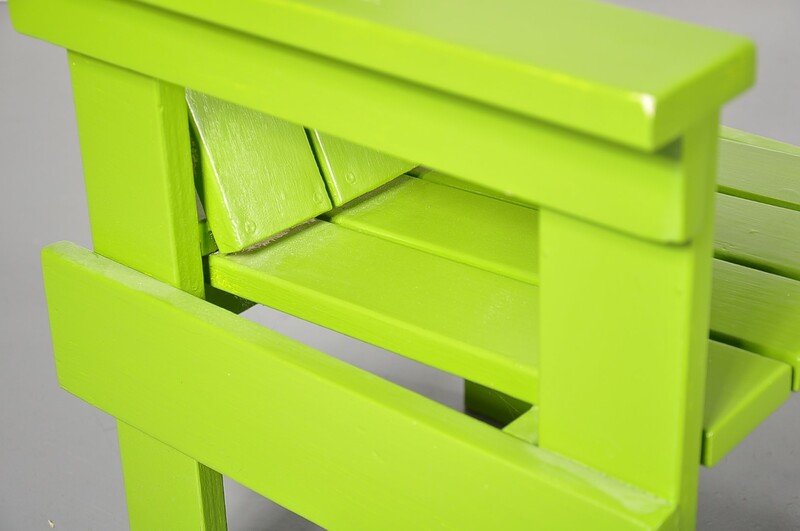 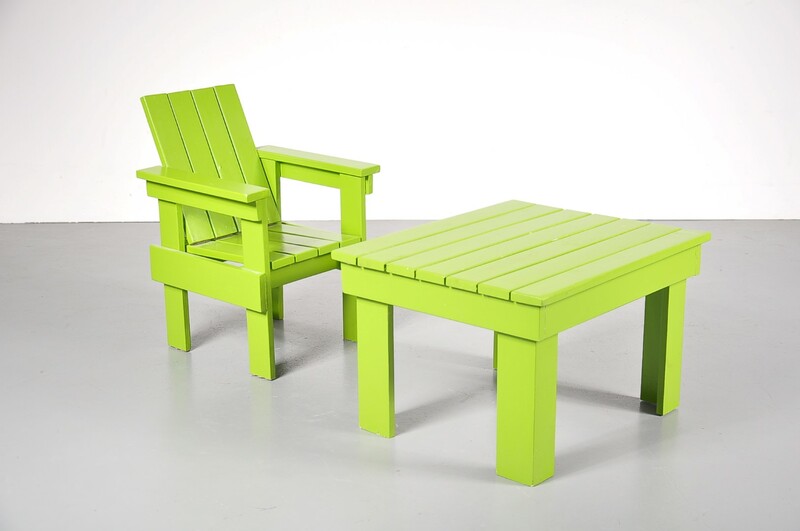 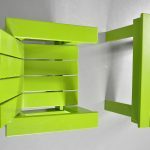 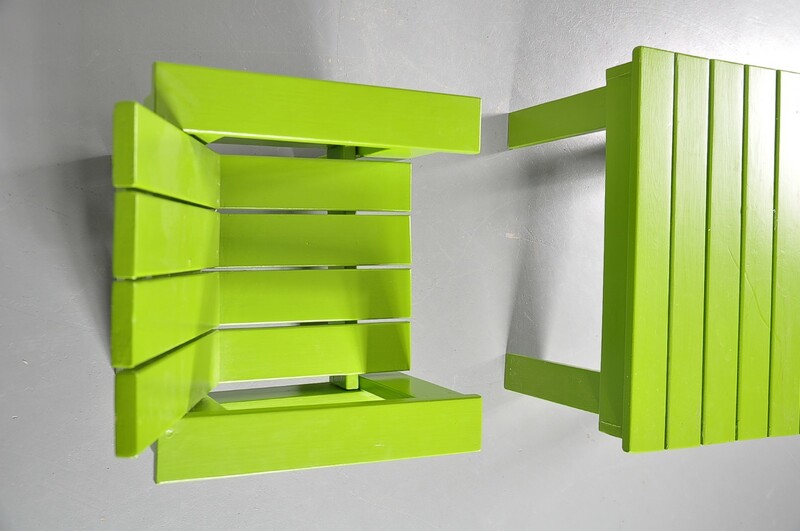 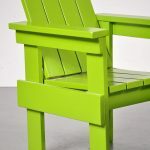 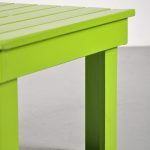 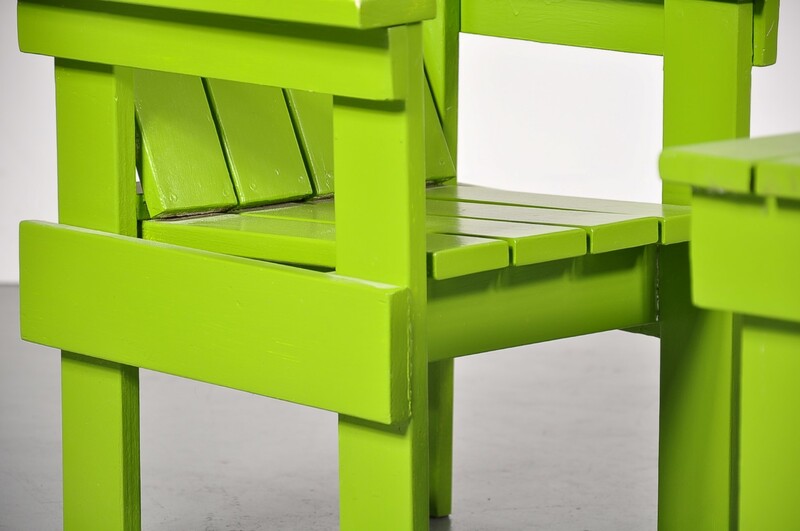 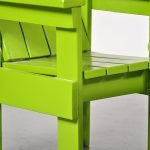 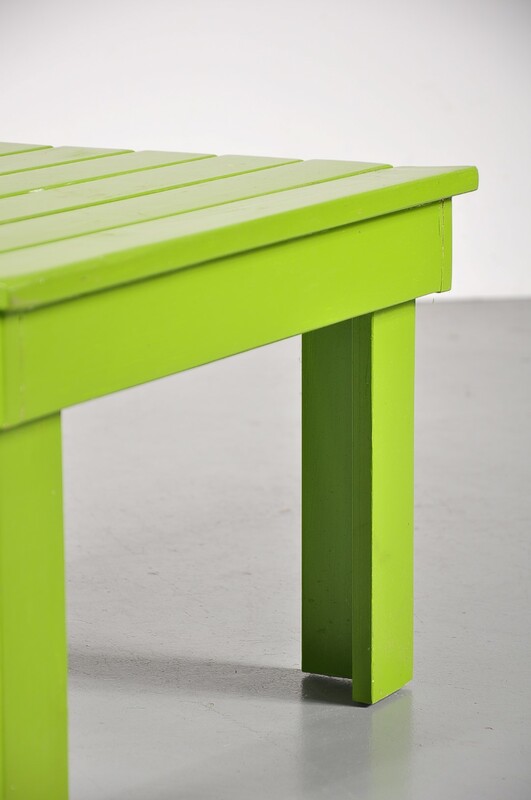 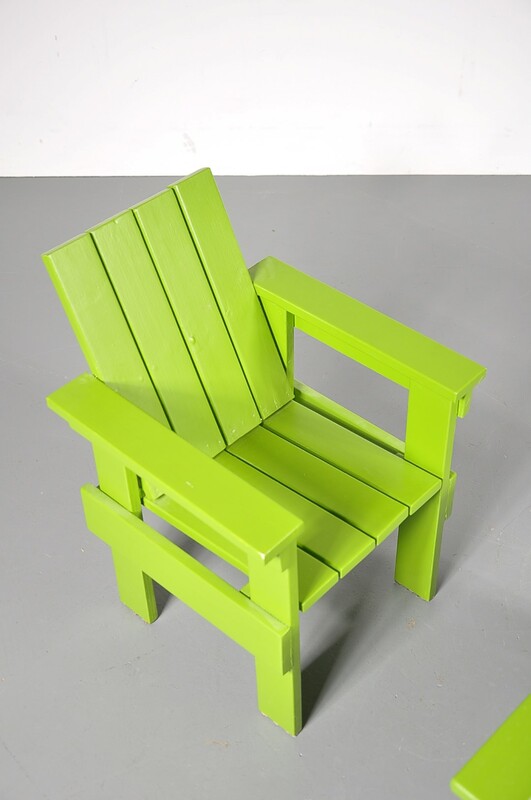 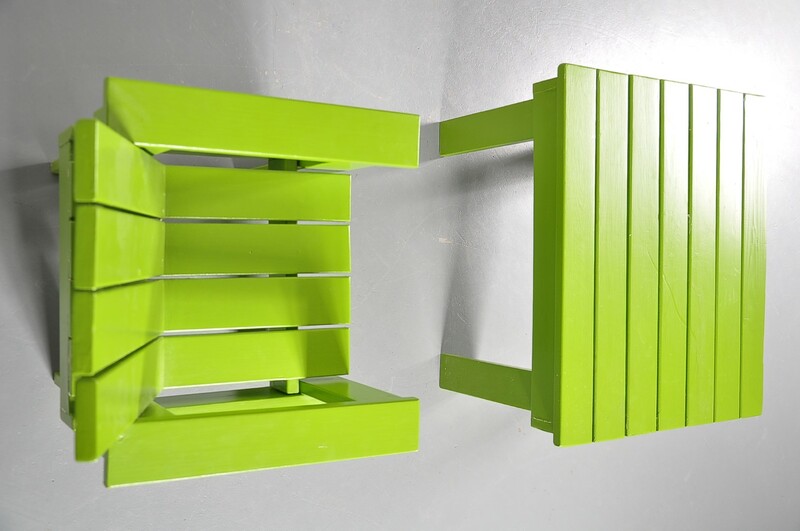 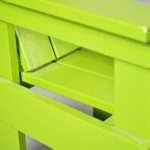 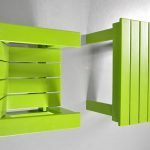 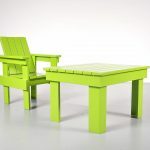 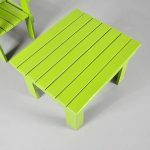 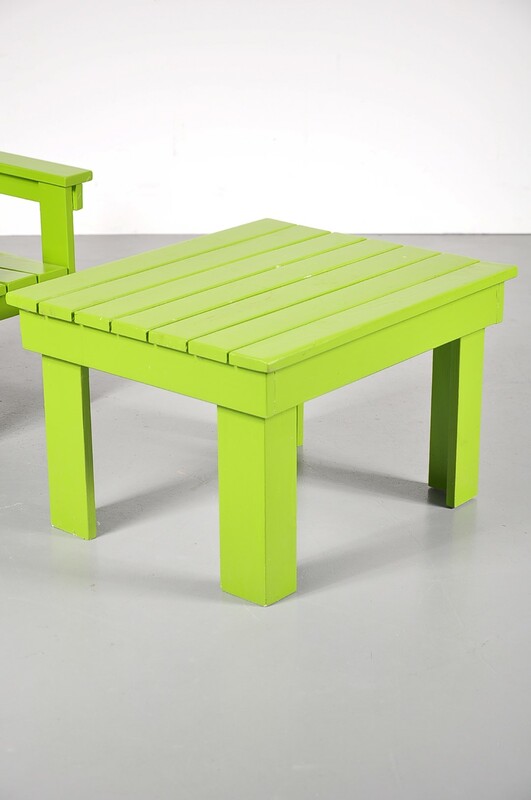 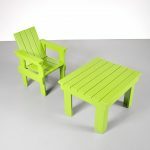 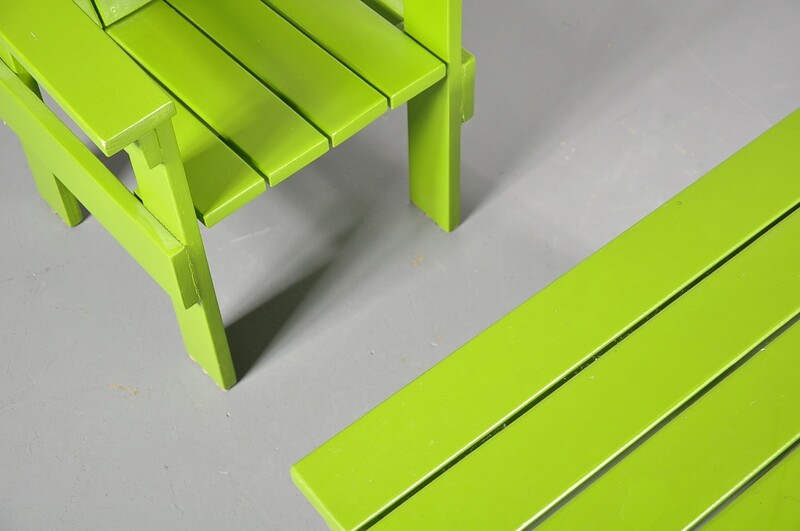 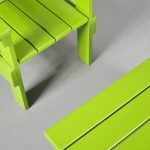 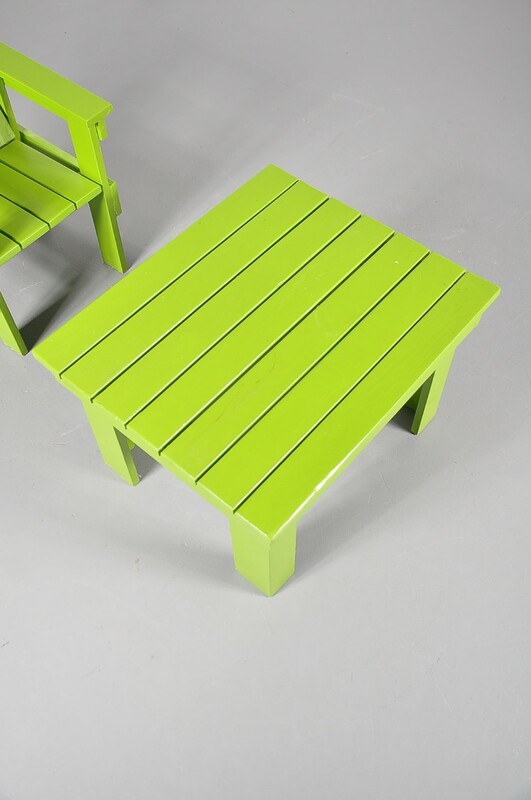 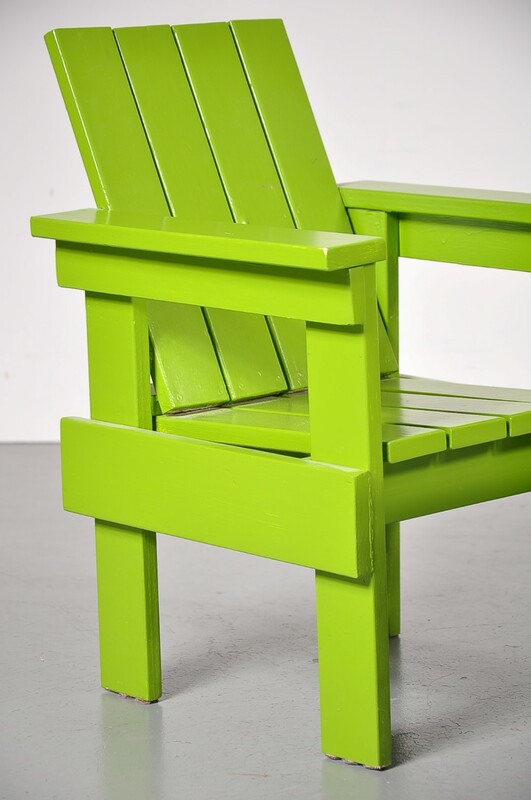 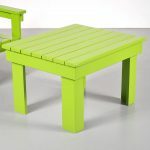 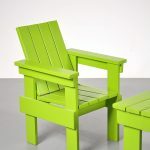 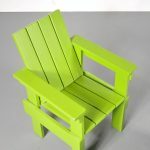 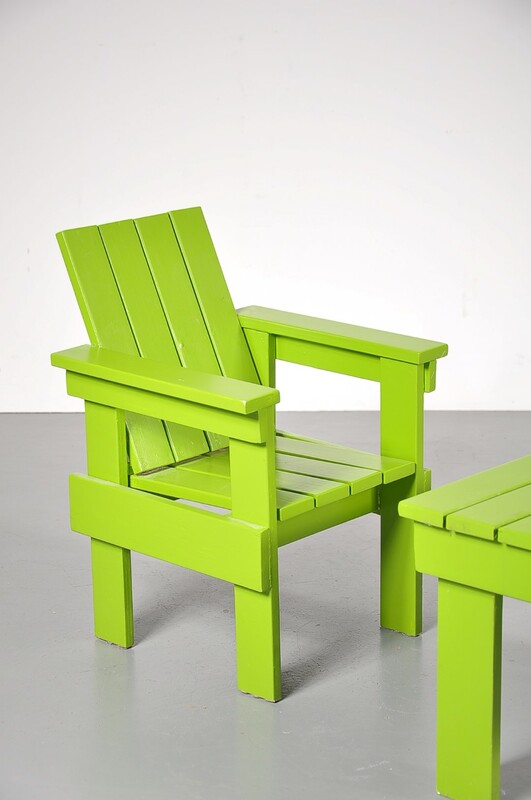 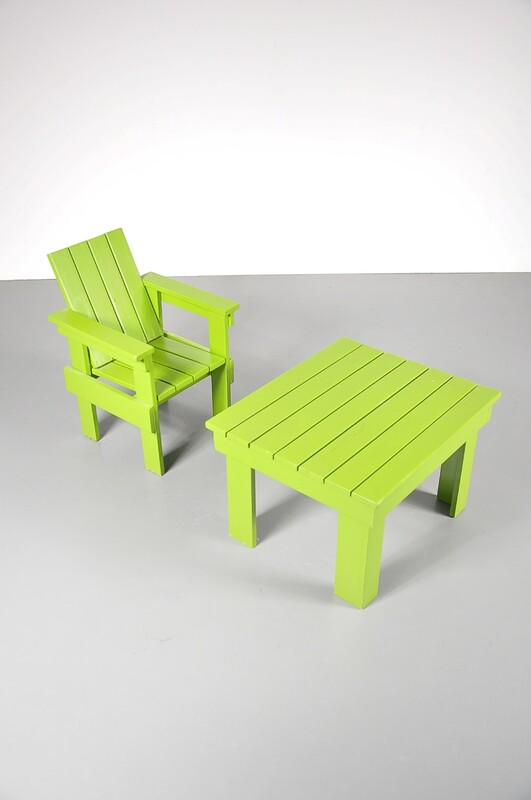 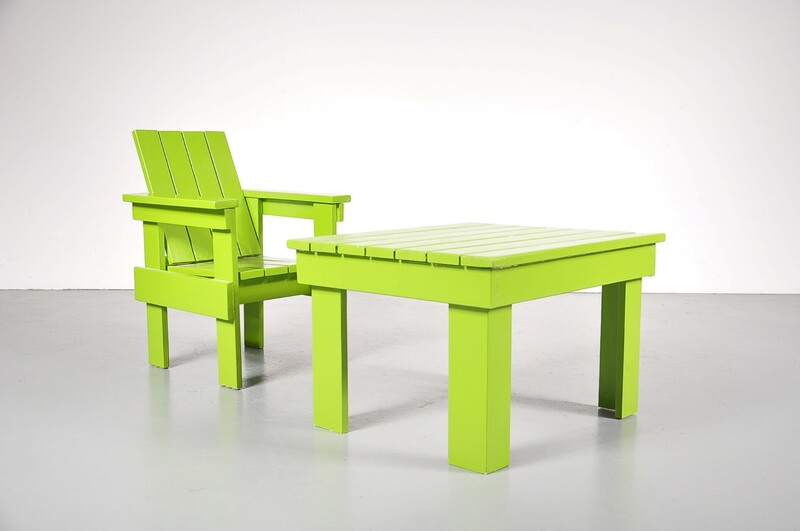 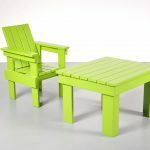 This lovely set contains one bright green painted wooden chair and a table. 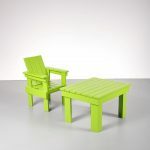 The structure, shapes and design of the pieces strongly remind of one of the most famous pieces of Dutch design: the crate chair by Gerrit Rietveld. 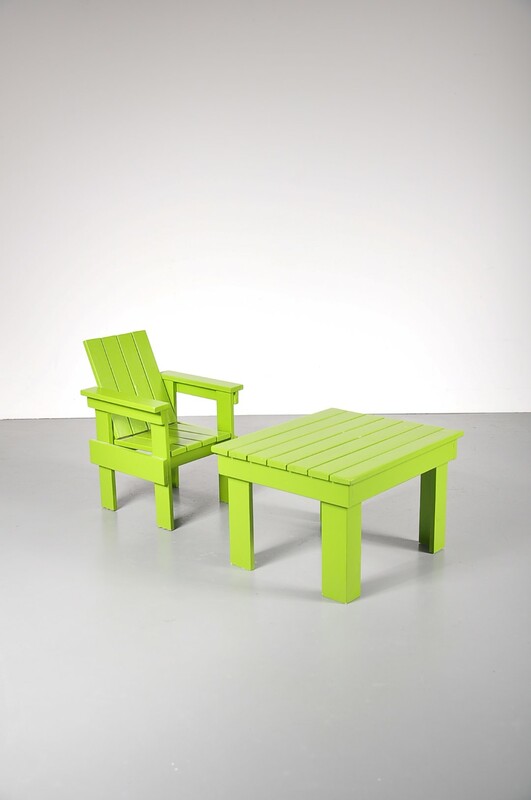 This set isn’t a Rietveld original, but will definitely draw the attention of any design enthousiast! 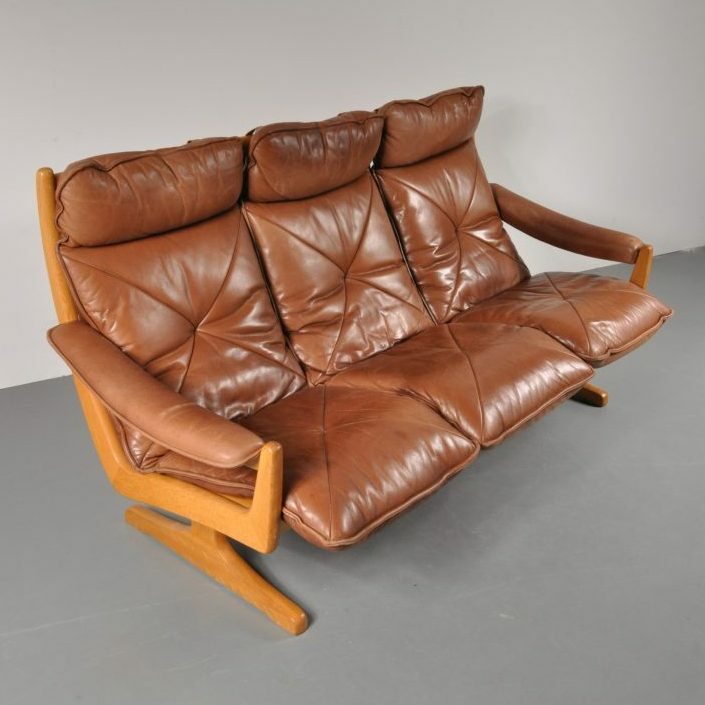 This is a great chance to introduce your child to the world of vintage design. 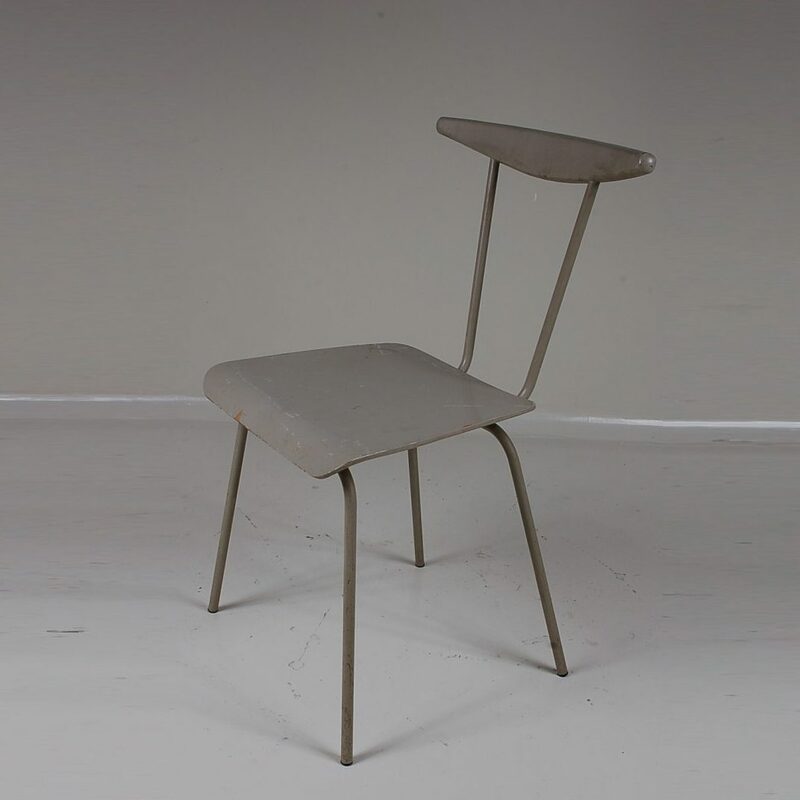 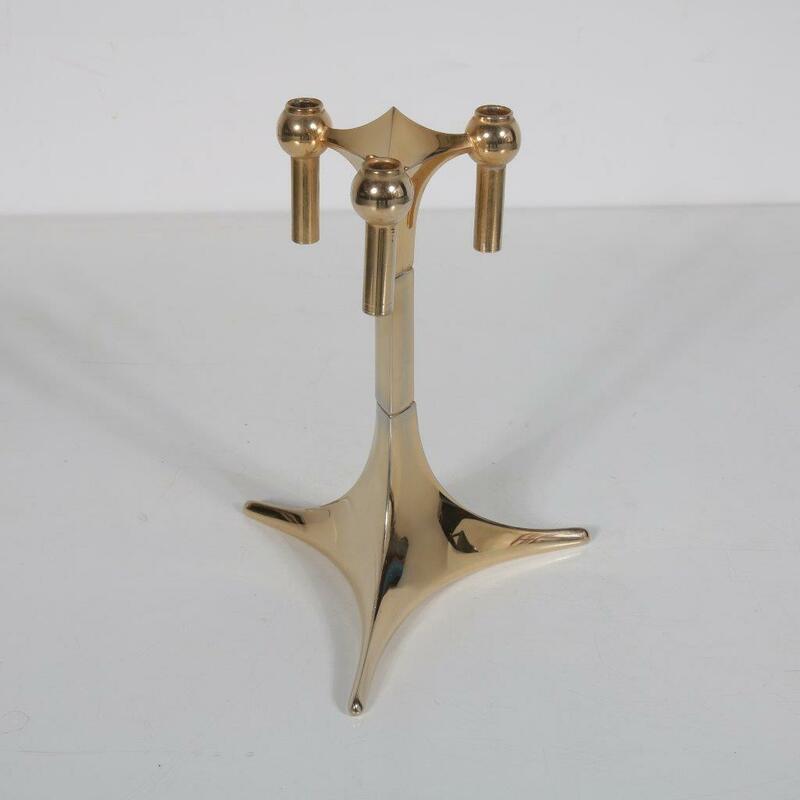 The set remains in very good condition with a beautiful vintage patina.